The Nugent Sand Company was established in Norton Shores Michigan in 1912 by the Nugent family. Initially, sand was loaded into wheelbarrows to be transferred to horse drawn delivery wagons. In October of 1947, the Cannon interest purchased the company from the Nugent family. Foundry operations had become more sophisticated and Nugent relied on the Cannon family’s many years of foundry expertise to position Nugent Sand as a leader within the industry. In 1989, Robert Chandonnet purchased the company from the Cannon Trust and continues to guide the Nugent Sand Company as the industry leader in the production of high quality sand. In 2015, Robert decided to bring family into the management and ownership of the business to continue on his legacy. Currently, Robert and his family are working side-by-side growing the business. Nugent’s original plant is located on Lincoln Street in Norton Shores, Michigan. This site is approximately 400 acres adjacent to Lake Michigan. 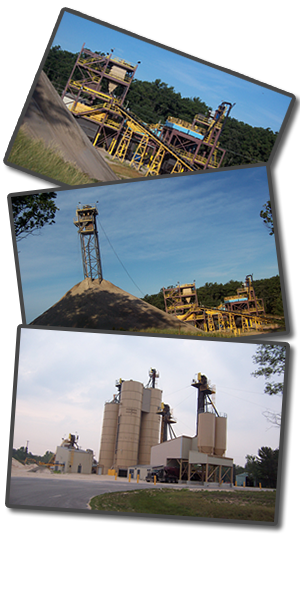 In the summer of 2003, Nugent Sand began development of its Plant #2 site approximately nine miles north of Muskegon. Nugent Plant #2 is situated on 350 acres of land and has incorporated the latest technology in sand mining and processing equipment to operate one of the most advanced and efficient mining operations in the United States.